In the village of Novoklyonovo, Belogorsky district of Crimea, where the veteran of the Crimean Tatar national movement Vedzhie Kashka lived, people gather to pay their last respects to a great patriot. More than five thousand people are now saying goodbye to the veteran of the Cimean Tatar national movement. At the moment, Ṣalāt al-Janāzah, for the deceased and all dead Muslims is performed for Vedzhie Kashka. According to one of the participants in the funeral ceremony, "the end of the crowd is not visible." A video was posted in the network from one of the mosque in Kyiv, where Muslims believers prayed for Vedzhie Kashka. Earlier, Aishe Umerova, the daughter of the Deputy Chairman of the Mejlis of the Crimean Tatar people, Ilmi Umerov, informed that people from all over the occupied peninsula are gathering at the house of Vedzhie Kashka. Umerova also posted a video from the scene. Server Mustafayev posted a stream from the place of farewell to Vedzhie Kashka. Meanwhile, many Crimean Tatars hang a black mourning tape on their houses. QHA prepared a video about life and struggle of Vedzhie Kashka. Reference: Yesterday, after the searches and detentions held in the Crimea by FSB officers, veteran Crimean Tatar national movement Vedzhie Kashka died. November 23, 2017 in the city of Simferopol, representatives of illegally created bodies in the temporarily occupied territory of the Autonomous Republic of Crimea, on a preliminary agreement with a group of people, with the threat of using weapons, tried to illegally imprison wellknown Crimean Tatar activist Vedzhie Kashka, as a result of which she collapsed. After the ambulance took the victim, she died before she reached the hospital. 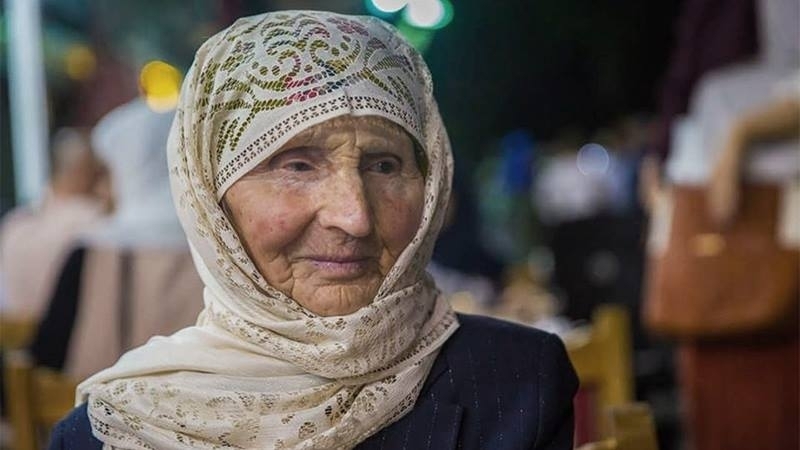 The news of the death of one of the modern heroes of the Crimean Tatar people, veteran of the national movement Vedzhie Kashka literally blew up social networks. Later on, the Speaker of the Ukrainian Foreign Ministry Mariana Betsa expressed condolences on behalf of the state in connection with the death of Vedzhie Kashka.